Rabbi Nisan Andrews was born and raised in Canada. He attended Telshe Yeshiva in Chicago where he received a Bachelor’s Degree in Talmudic Law and Master’s Degree in Rabbinics. While at Telshe, Rabbi Andrews developed a special relationship with its illustrious Rosh HaYeshiva, Rabbi Avrohom Chaim Levin, from whom he received his semicha. Rabbi Andrews has been deeply involved in the Rabbinate and Jewish education. He taught at the Telshe Yeshiva, Akiva Academy in Calgary, and ran educational outreach programmes in both cities. This afforded Rabbi Andrews the opportunity to learn the craft from some of the most significant personalities in contemporary Jewish education and rabbinics. Additionally, he was the administrator for the local kosher supervision agency as part of his capacity as the Assistant Rabbi of Congregation House of Jacob-Mikveh Israel in Calgary where he resided for four years. 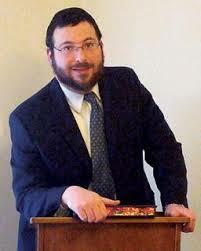 Rabbi Andrews has most recently served as the Rabbi of Lake Park Synagogue of Milwaukee. During his four years there, he laid the foundational work for the construction of an eruv and began innovative social and educational programming. Rabbi Andrews and his wife Hannah, a bubbly, charismatic and talented educator, have three children.